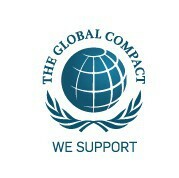 In January, Tradecorp signed a commitment letter to join the Global Compact. Thus, Tradecorp is committed to align its operations and strategy with 10 universally accepted principles in the areas of human rights, labour, environment and anti-corruption. Since its launch in 2000, more than 10000 participants, including over 7000 businesses in 135 countries, have joined the Global Compact. Considering these figures, the United Nations Global Compact is nowadays the world’s largest corporate citizenship and sustainability initiative. Tradecorp is designing the actions to be carried out during 2012 in order to fulfill its commitment to the Global Compact and promote these principles within our scope of action.